I forgot to add: “you can be” to the title above. I’ve been playing guitar for a long time now. Almost 50 years. And, in a moment of excitement at the prospect of having more time in retirement, I set a goal of becoming a better jazz guitarist over the next few years. I’m not completely unfamiliar with the genre. I listen to a lot of jazz and I am secretly envious of the immense talent that I see in jazz players. They have discovered some sort of magic that allows them to improvise beautifully and construct incredibly intricate chord melodies seemingly at will. Not too bad for a novice jazzer I suppose.Â What you don’t know is how much time I put into playing this piece. I spent over an hour a day on this one song for a period of two months. I could not play it today. I would need to re-learn the tune and likely spend a few weeks to get it under my fingers again. To help me in my journey to become a better jazz guitarist, I signed up with Marc-Andre of Jazz Guitar Lessons. I have the unlimited membership. Which is a problem. Being unlimited means that there are so many course modules and I really don’t know where to begin. 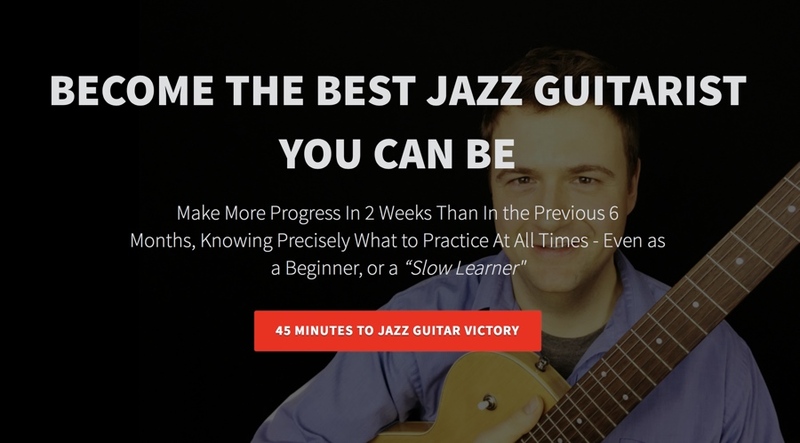 I have picked one chord melody, Misty, and one improvisation course. Both of them are really tough. It is almost embarrassing to be at the beginning of something. At least that is the way it feels to me. I’m not sure whether the content is hard because it is unfamiliar or whether the content is hard because, well, the playing is hard to master. So different from what I have been used to playing over the years. But I will persist and I will make it happen. I am a determined fellow. I will chronicle my progress with it and, hopefully in six months or so, be in a better place with it than where I am right now.